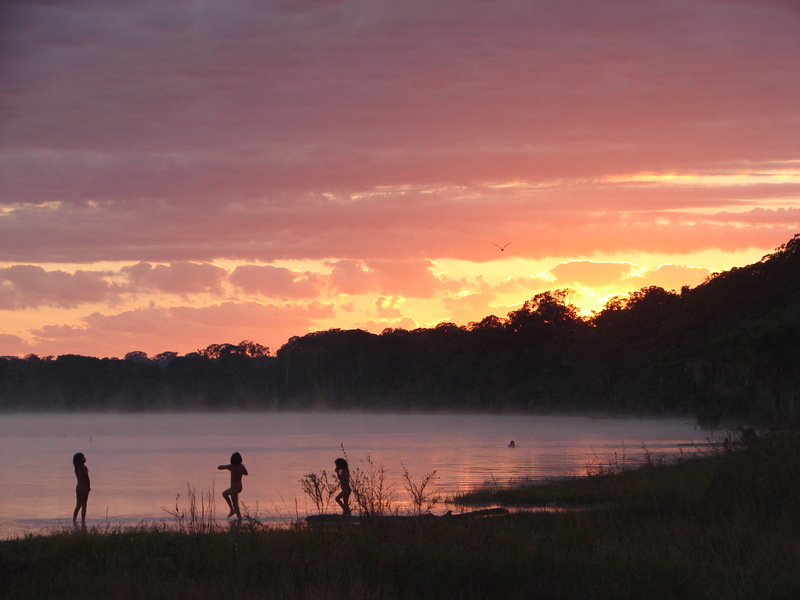 Dawn at Ipavu Lake in the Xingu Indigenous Park of Brazil. Image © Dr. Silvio Marchini. This is the second half of the two-part Q&A with Dr. Silvio Marchini: one of the foremost experts on the human dimensions of conservation. Part 1, found here, introduces Dr. Marchini and his work. This post features valuable advice for conservationists. It begins by highlighting the influence that cultural and spiritual beliefs can have on human-wildlife conflicts, and then presents a series of important lessons and predictions about the future of conservation. This entry may be a bit long, but the information it contains is priceless. 3.) During the summer, you traveled to the Xingu Indigenous Park in the State of Mato Grosso, Brazil, to investigate two fatal jaguar attacks on local people. Can you tell us a little bit about that situation, and what you learned there? As the executive coordinator of the National Action Plan for the Conservation of Big Cats, I was called upon with the general coordinator, Rogerio de Paula, to investigate the case of two supposed fatal jaguar attacks on humans in the Xingu Indigenous Park in central Brazil. 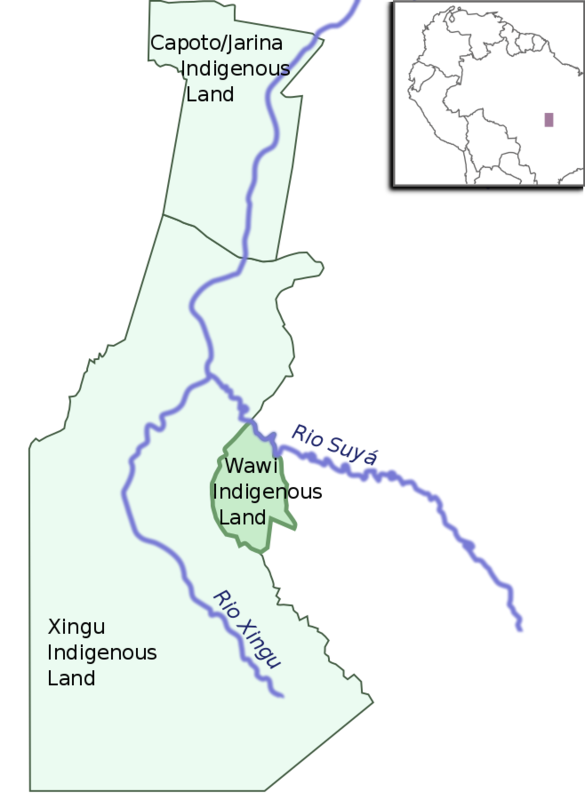 Xingu, with its 2,642,003 hectares (6,528,530 acres) of savannah and semi-deciduous forests, is home to about 5,500 people belonging to 14 ethnic groups. Between May and June of this year, a Kamayurá woman and a Waurá man were allegedly killed by a jaguar. The attack sites are just 23 kilometers apart. As a note, there has been only one officially recorded case of a fatal jaguar attack on a human in Brazil, which took place in the Pantanal in 2008. The Xingu case would thus be something very unusual. We visited the sites and interviewed several witnesses. Most of them confirmed the victims had been killed by a jaguar. Not by a regular jaguar, though, but by a ‘cape-jaguar’: the feiticeiro (sorcerer) wearing a jaguar cape so that he can shapeshift into a jaguar and kill people. The feiticeiro is a member of the tribe, but no one knows who he is. Nonetheless, his identity can be revealed if the pajé (shaman) boils a strand of the victim’s hair; the first person in the tribe to fall ill will be the sorcerer. Well, the pajés have done their job and revealed the identity of the feiticeiro. Relatives of the victims have vowed to kill him. As the case has not cooled down yet, we are hoping that no one will be murdered as a consequence of the jaguar attack. 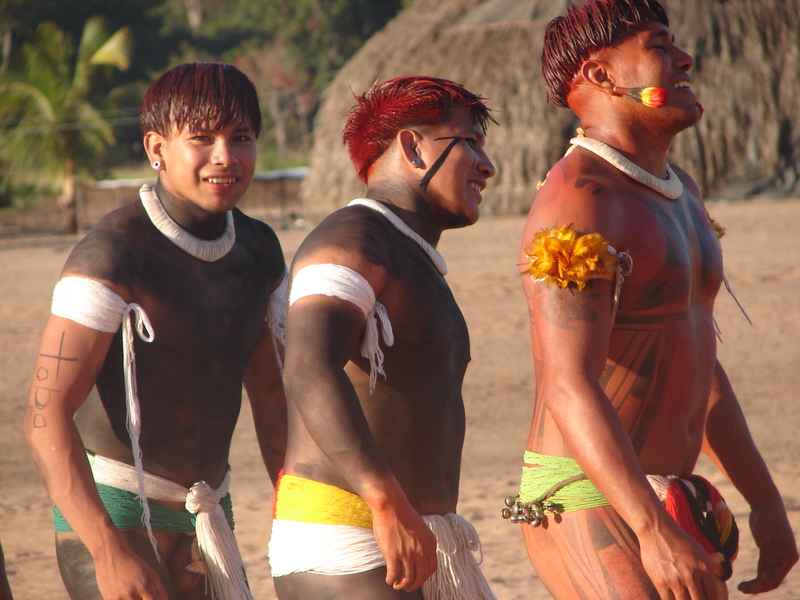 A group of Kamayurá men that Dr. Marchini met in the Xingu Indigenous Park. Image © Dr. Silvio Marchini. Trained to think within the boundaries of rationality, I found myself immersed in this particular ‘cosmovision’ that defies our common sense. Logic-based frameworks to predict human behavior, such as the Theory of Reasoned Action, may not apply here. What could be more fundamental in the field of human-wildlife conflict than the assumption that humans and wildlife are different entities? But for some indigenous peoples in Xingu, there is no clear distinction between a human and a jaguar. We have been using interviews and camera traps to assess the situation, and we have found strong evidence that at least the woman was killed by a jaguar. Nonetheless, the case remains inconclusive. I am afraid the truth will always lay beyond the reach of our conventional methods. The Xingu story illustrates the importance of truly interdisciplinary approaches to understanding and managing human-wildlife interactions, especially in situations where unscientific thinking prevails. 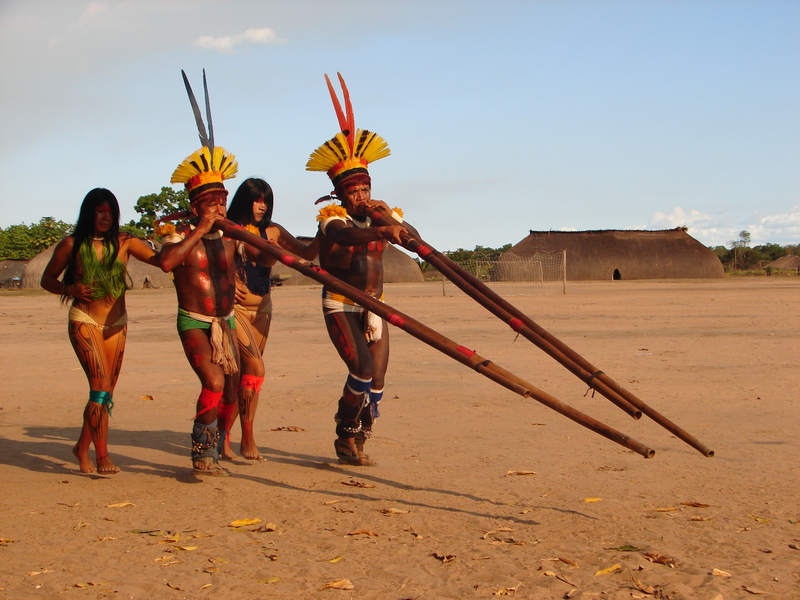 The 690 indigenous territories in Brazil cover about 13.8% of the country’s land mass (23% of the Amazon) – an area about the size of Colombia! Outside of the indigenous territories in Amazonia, the caboclo folklore perpetuates an entire cast of spirit beings that dwell in the imagination of the people and inform their lives: particularly their relationships with wildlife. 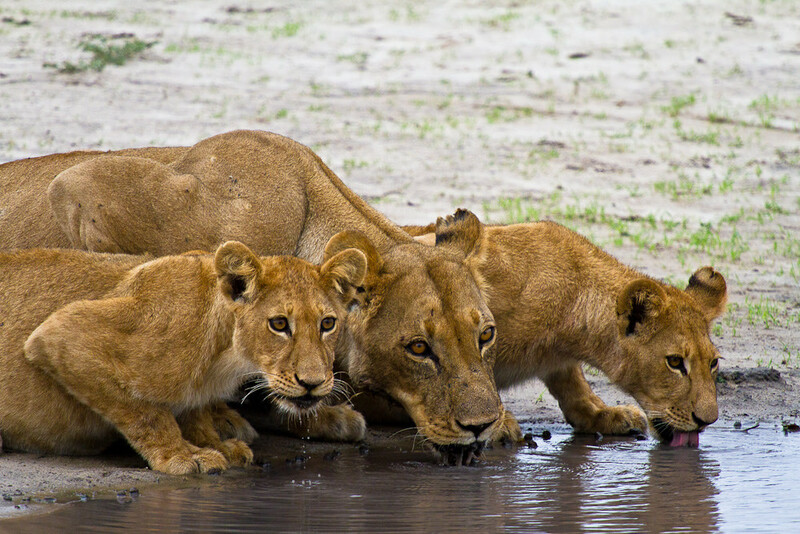 Conservationists must strive to understand the social realities of their partners. A group of Kamayurá people engaging in a traditional dance. Image © Dr. Silvio Marchini. In the savannas of central Brazil, an ongoing study with which I am involved is looking at superstition as a driver of intentional vehicle collisions with giant anteaters. There is a widespread belief that when a giant anteater crosses in front of a truck it brings bad luck to the truck driver, and the only way to break this curse is to kill the anteater. The wildlife professional will need to draw from various disciplines – from anthropology to neuroscience – to understand the simple heuristic thinking, systematic bias, or particular socio-cultural motives behind this ‘fantastic dimension’ of human-wildlife interactions; and, finally, to intervene accordingly. 4.) You have worked in many different countries and locations. What advice would you give to early-career conservationists to help them work more effectively with local people? i.) Human-wildlife relationships are composed of ecological inter-actions, but also by people’s re-actions. The latter are subjective: different people may react differently to the same ecological interaction. 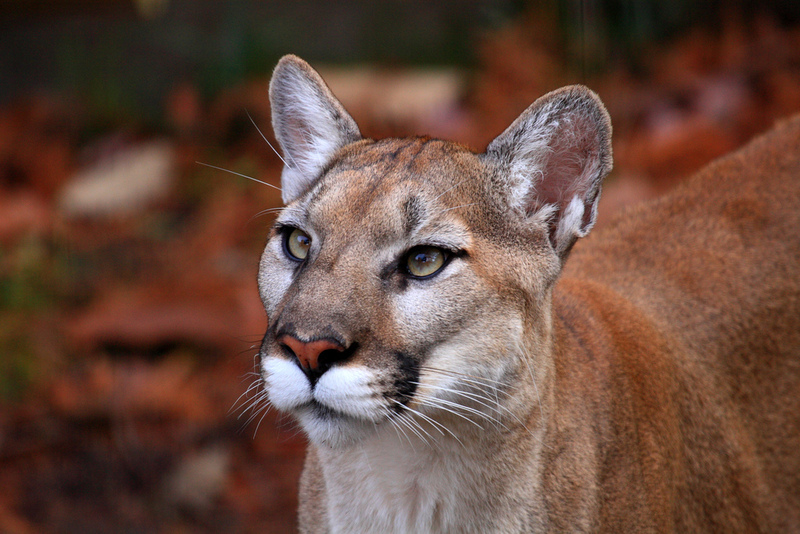 For instance, an encounter with a puma can have a positive impact on a nature tourist guide or conservationist, but a strong negative impact on a cattle rancher. People’s reactions – their thoughts and actions – have to be taken into account in wildlife management decision-making, and we need ‘human dimensions’ to properly assess them. ii.) Human dimensions is not only about human-wildlife conflicts. I have seen colleagues who are new to the field of conservation social science struggling to fit their human-wildlife problem within the classic definition of human-wildlife conflict (i.e. both humans and wildlife negatively impacted), when they are actually dealing with something fundamentally different. This might include poaching and illegal trade (negative to wildlife but positive to local people), or nuisance wildlife (negative only for the human side). The human dimensions approach is useful wherever the values towards wildlife are subjective and the interests over wildlife management vary across individuals or social groups. iii.) Mitigation and adaptation, rather than solution, may be the proper goal. We better face it: some human-wildlife problems cannot be solved. Conservationists have solved problems and saved species from extinction, but when it comes to the subjectivity behind the social conflicts over management goals, problems can sometimes be insoluble. Just like in the fields of climate change, poverty, and crime, there is no silver bullet. This should be accepted and properly communicated in order to avoid false expectations from society (and unrealistic demands from wildlife professionals on their own). iv.) Positive human-wildlife relationships also deserve attention. By focusing solely on the problem, we can miss the opportunity to understand the conditions under which humans and wildlife mutually benefit from the interaction; in other words, where coexistence prevails. v.) Coexistence will replace conservation as the next paradigm. As we plunge into the Anthropocene, the traditional conservation goal of maintaining or restoring wildlife populations and ecosystems to an original ‘natural’ condition must be replaced by the recognition that the challenge ahead is to find the just middle ground between humans and wildlife – be it endangered or not, native or exotic – and between different stakeholders at individual and institutional levels. Perhaps rather than conservation science, we will need a ‘Coexistence Science’ to get there (But this is the topic for another conversation. 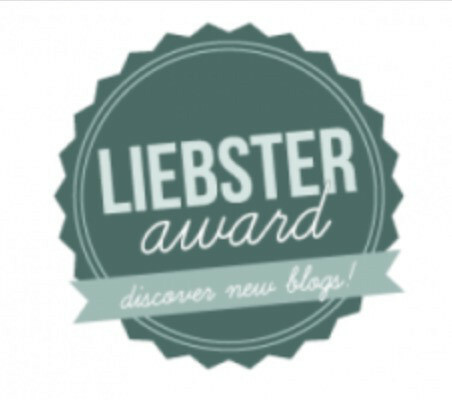 Stay tuned!). I would like to sincerely thank Dr. Marchini for participating in this Q&A. His work has been a major inspiration for me, and it has been an honor to work with him on these posts. Thank you Afzal! 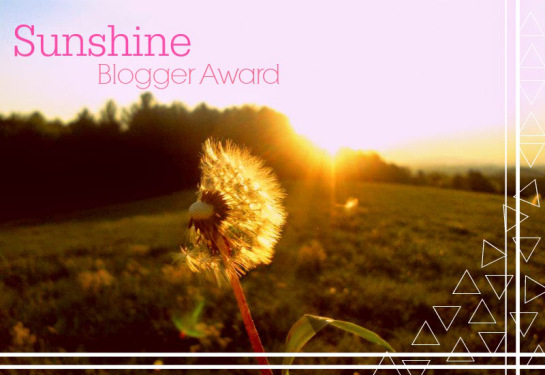 This is one of the best Q&A’s I’ve been lucky enough to participate in. The same to you too! The feiticeiro (sorcerer) wearing a jaguar cape so that he can shapeshift into a jaguar and kill people. I’ve never heard of this “myth” before. Like Dr.Marchini said thinking outside the box would come more in handy as a way to bring about conservation. People values are different and what one may see as priceless the other may think it as worthless. What a great interview Josh. It really was a great interview :) Dr. Marchini’s learned some incredible things over the years. Oh yes indeed and through him a lot more people get to acquire so much more knowledge in conservation.